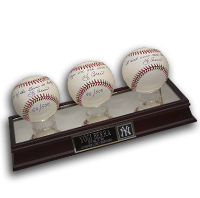 New York Yankees..... A 3 ball autographed set of Mint condition Very Limited Edition of "Yogi-isms" Baseballs in a UV protected Steiner display case.  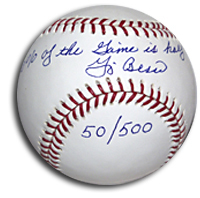 55/500 inscribed by Yogi "Its De Ja Vu All Over Again", 50/500 inscribed "90% of The Game Is Half Mental" and "It Aint Over Till Its Over". 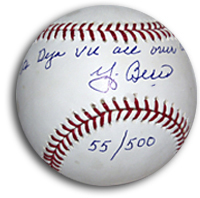 All are authenticated by the Berra family and are all 1st of its kind issued......Perhaps one of the most popular players in major league history, Yogi Berra was also a brilliant catcher and dominant hitter during his 19-year career with the New York Yankees. 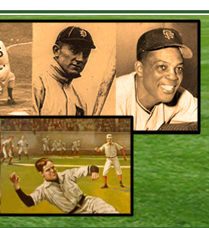 Berra was named to the American League All-Star team every year from 1948 to 1962. 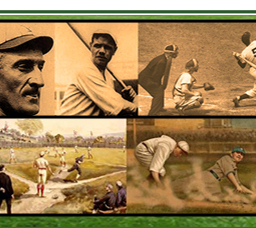 He topped the 100-RBI mark four years in a row and became a three-time American League MVP in a career that featured 14 league pennants and 10 World Series championships. 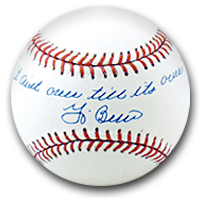 Also known for his “Yogi-isms” which these 3 balls are inscribed with, Berra has always been a fan favorite. 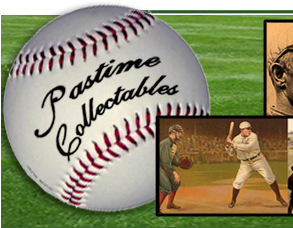 They are being offered as a set in a beautiful Steiner 3 ball UV protected display case.